"Epiphanie" is a 43 feet flybridge motorboat build buy Stand Fast Breskens. It has 612 HP powered buy 2 vovlo penta engines. It's from the first owner and is in a very good condition. It's located in Zelzate, Belgium. The boat has a super electronic system with added lights and 220 V plugs. 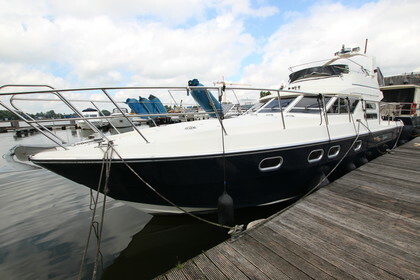 If you are looking for a quality yacht then you should take a look at this one. Contact us for a visit. Colvic Craft & Stand Fast Y. B.